1Although we do our best to ensure accurate information, mistakes occasionally occur. We are not responsible for unintentional mistakes or technical problems. For the most accurate information, call a sales pro for details. 2Although we do our best to ensure accurate information, mistakes occasionally occur. We are not responsible for unintentional mistakes or technical problems. For the most accurate information, call a sales pro for details. 3Not available with special financing, lease and some other offers. See participating dealer for details. 4Must qualify through GM Financial. Not available with special finance, lease, or some other offers. Take delivery by 04-30-2019. See dealer for details. 1Although we do our best to ensure accurate information, mistakes occasionally occur. We are not responsible for unintentional mistakes or technical problems. For the most accurate information, call a sales pro for details. 2Although we do our best to ensure accurate information, mistakes occasionally occur. We are not responsible for unintentional mistakes or technical problems. For the most accurate information, call a sales pro for details. 3Must qualify through GM Financial. Not available with special finance, lease, or some other offers. Take delivery by 04-30-2019. See dealer for details. 4Not available with lease and some other offers. See dealer for details. 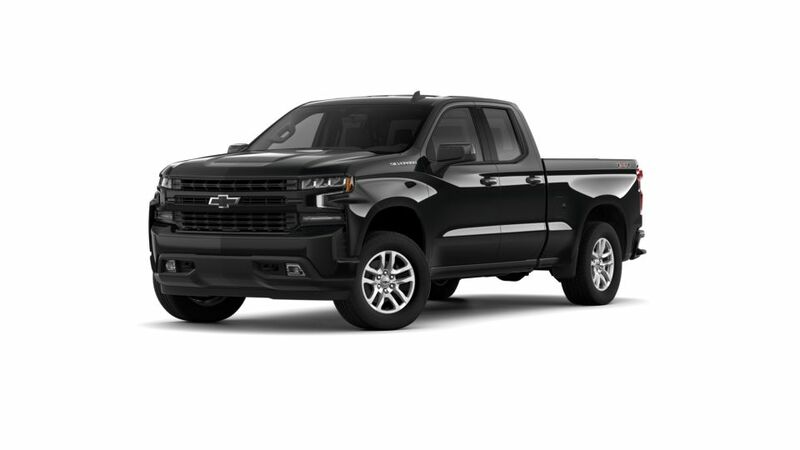 Find the new Chevrolet Silverado 1500 at our Manhattan, KS dealership. This bestselling pickup is well known for its strength, reliability and advanced technology. It has a quiet cabin, with high-end materials, which lends an upscale feel. This truck’s most impressive feature is its roll-formed, high-strength steel bed which has been tested to be more durable than competitor products. The new Chevrolet Silverado 1500, featured at our Manhattan, KS dealership, has ample storage space and a state-of-the-art infotainment system that features a responsive touchscreen and intuitive interface. The new Chevrolet Silverado 1500, offered at our Manhattan, KS dealership, offers incredible hauling and trailering capacity. We, at our dealership, not only offer a large inventory of this truck to our esteemed customers, but we also offer some great deals and discounts on its parts and accessories. Feel free to drop by our dealership to test-drive the all-new Chevrolet Silverado 1500 in Manhattan, KS today! Explore our large inventory to learn more!